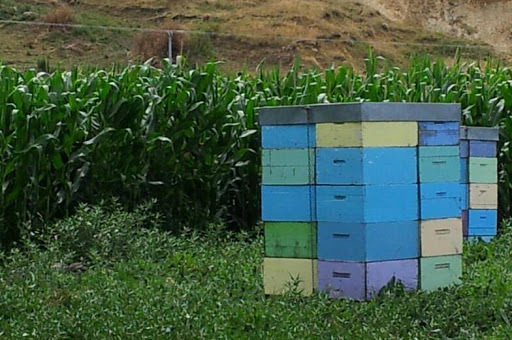 I was welcomed to Hawkes Bay by the waving green fields of sweetcorn. 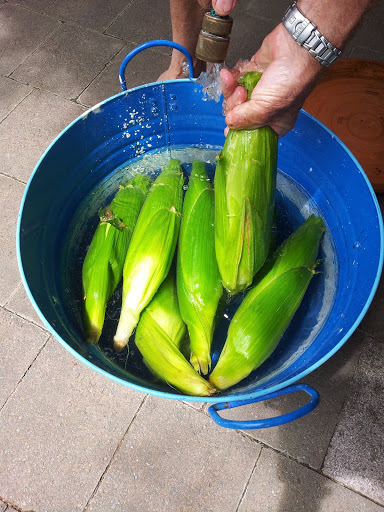 During our stay in the Bay I discovered the very best way to cook corn from Peter’s old mate Fred Hardy. 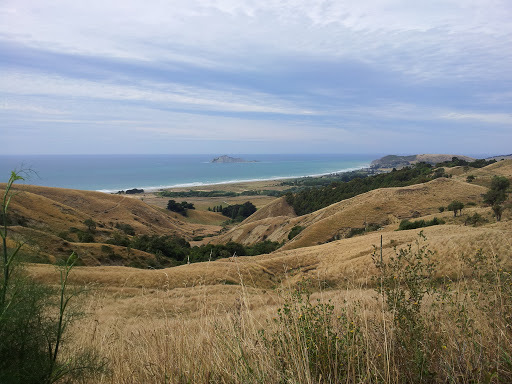 We were invited to lunch on a perfect day at Fred and Chris’s bach at Waimarama Beach about a 20 minute drive past vineyards and olive farms south of Havelock North. We sat under an umbrella around a magnificient round totara table and talked about the locally grown corn we were going to have for lunch. Fred is a born communicator and wasn’t at all phased by the camera when I asked him if I could video the process. 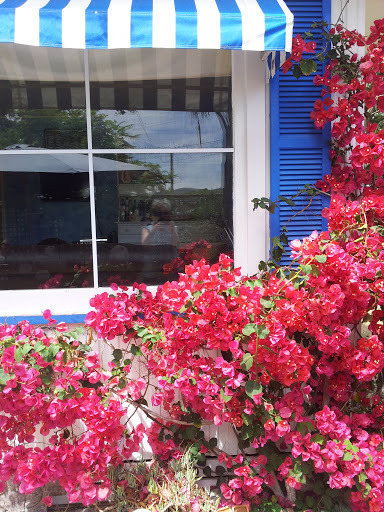 showy red Bougainvillea that we don’t have a hope of growing down south. Chris is just as much a foodie as Fred. 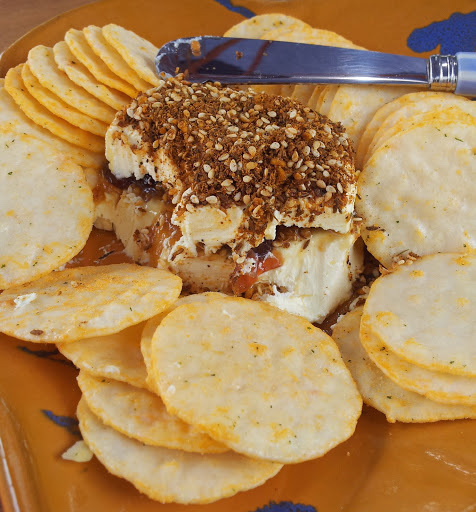 Here’s how she made this easy and delicious cream cheese spread that we put on crackers as a starter. Cut in half a cream cheese, sandwich the two halves with lime pickle (homemade by Chris – must get that recipe) and top with a good coating of a dukkah of your choice. To keep the dukkah in place lightly pour olive oil on top and serve with your favourite cracker. Chris served it with plain rice crackers and it was so tempting to have more than you should. 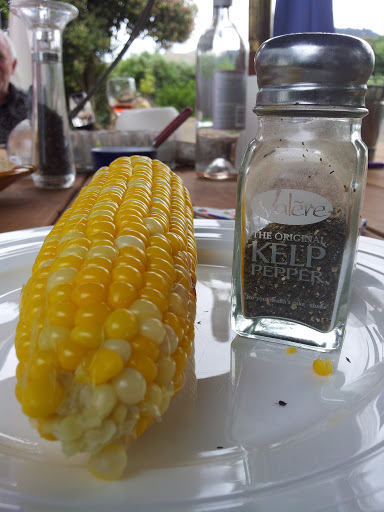 Now onto Fred’s method of cooking corn on the barbeque in a way that keeps all the flavour and the kernals plump and juicy. It’s simple but you need to prepare ahead of time. Step 3: The cooking of the corn. 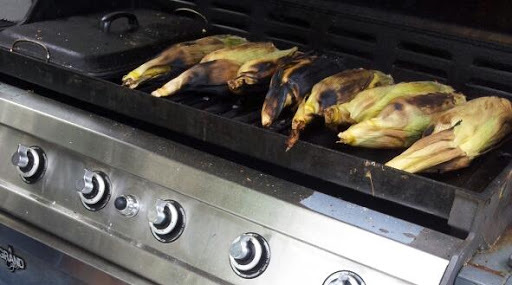 Heat your barbeque until really hot and lay the soaking corn on either the plate or grate. If you have a cover like Fred does then that will decrease the cooking time. Turn regularly for about 20 minutes. 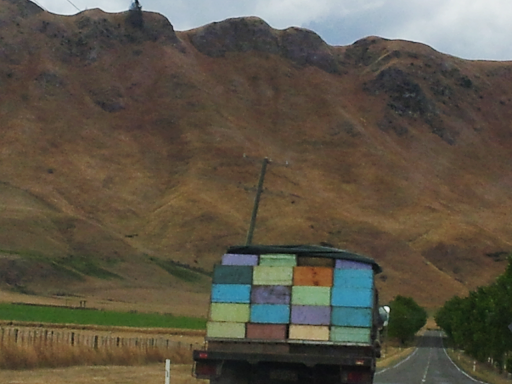 To watch and see how Fred does it click on the arrow…..
On the way home to Napier look what was in front of us….. 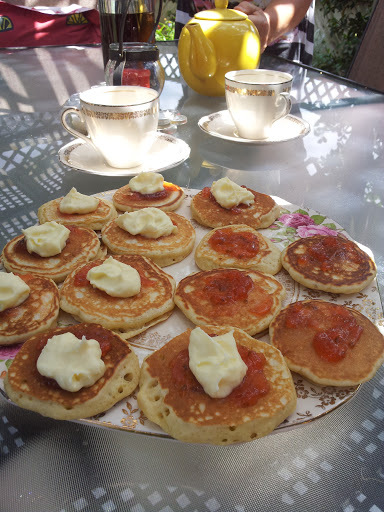 In September 2012 one of my early postings was called “A Vintage Morning Tea – Nan’s Pikelets”. 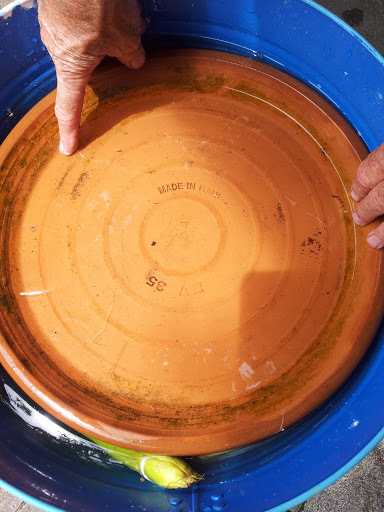 Peter’s sister Monica was inspired to purchase a modern griddle plate that is caste iron ridged on one side and flat on the other. 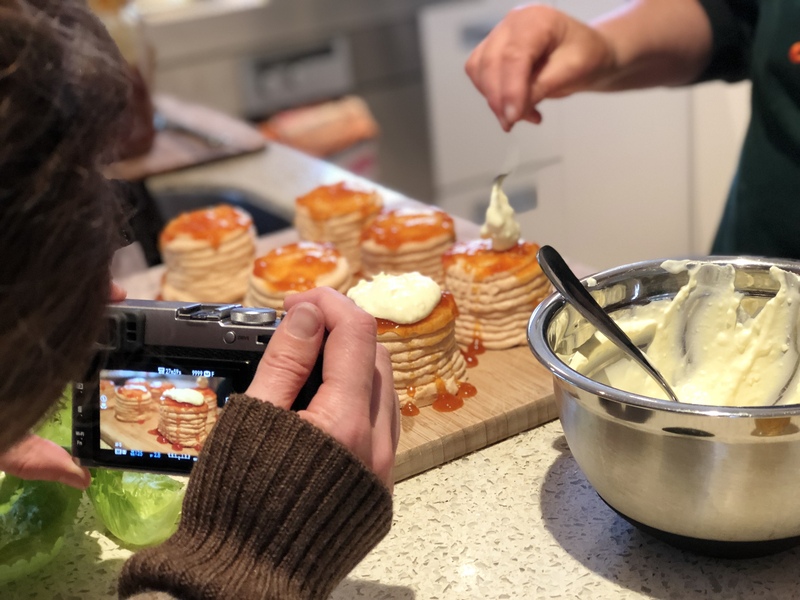 It works really well for pikelets because the ridges underneath seem to make the heat disperse evenly – like a simmer pad. I proudly made Nan’s daughters a vintage morning tea using her favourite pikelet recipe. (see earlier post for the recipe).